Este fin de semana estaba en el mall y por supuesto mi radar de maquillaje estaba más que encendido. Tengo un amor apasionado por las sombras mate porque son limpias y perfectas! dicho esto cualquier cosa con maquillaje es mi pasión, jaja. Compré este cuarteto de sombras de Revlon que tenia este amarillo pollito (en buen panameño), el cual también he buscado en esmalte de uñas pero sin mucho éxito. Es un look simple pero casi de mujer pin-up porque este color gritaba ser así! Last weekend I was at the mall and of course my makeup radar came in. 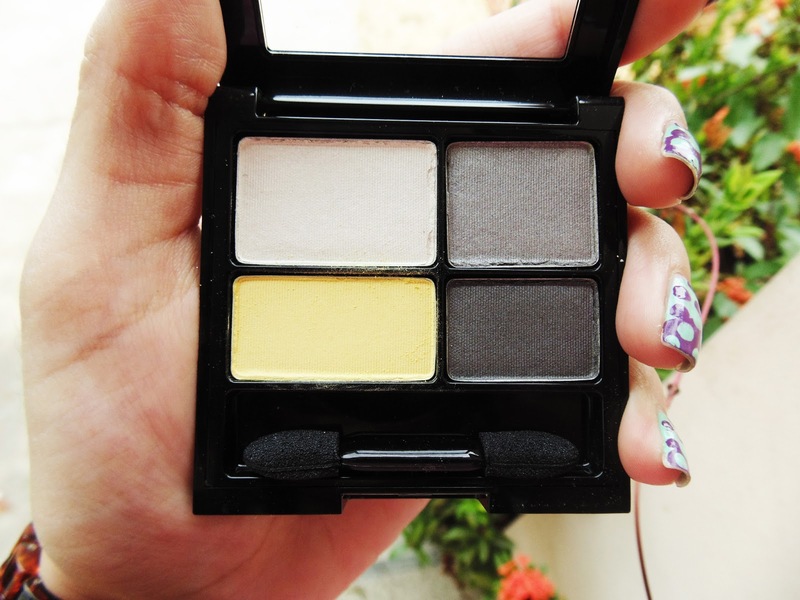 I have a full-love commitment with matte shadows, they’re just so perfect and clean and simple! That been said anything about makeup its my love. 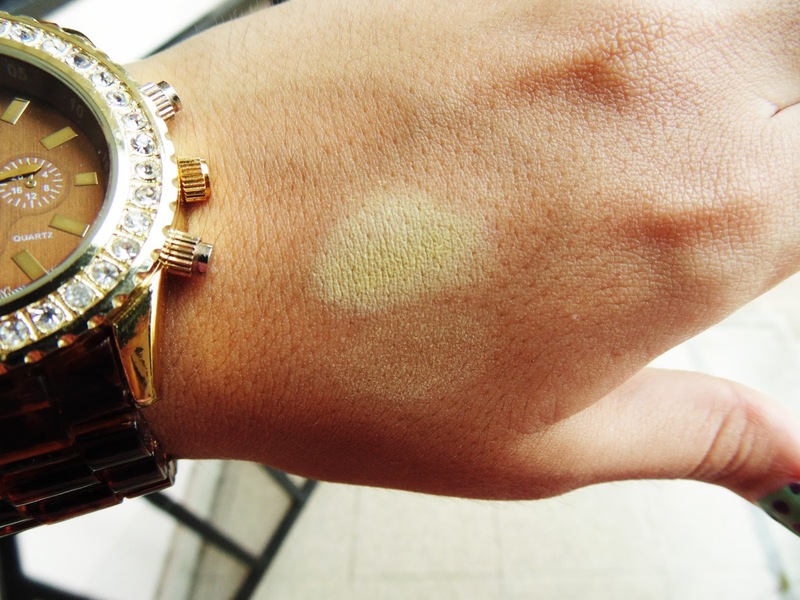 I bought this Revlon quarter palette that have this beautiful baby yellow that, also, I’ve been looking in nailpolish but unsuccessfully havent found. 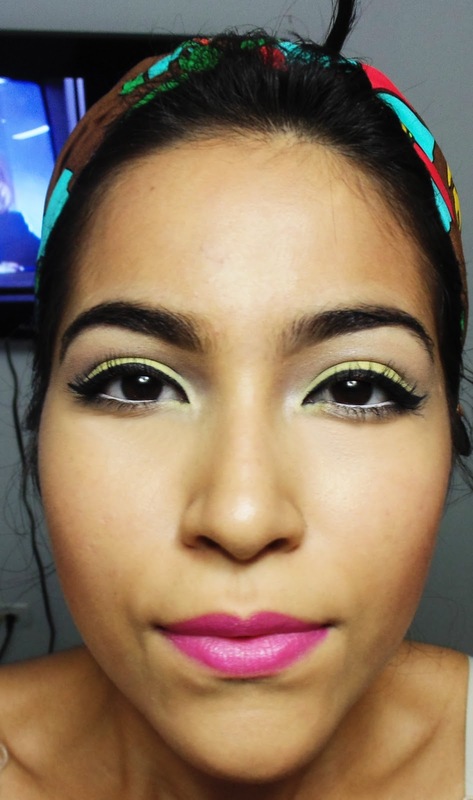 Its a simple almost pin-up girl makeup that I did because this color just screamed that! Para hacer esta sombra resaltar puse en mi párpado móvil una base de sombra blanca o un lápiz, como lo ven en el ejemplo de las dos maneras, sin la base y con ella. ¡qué ingenioso! To make this color pop I tried putting a white color base in my eyes, as this example you can see it without the base and with it. So clever! 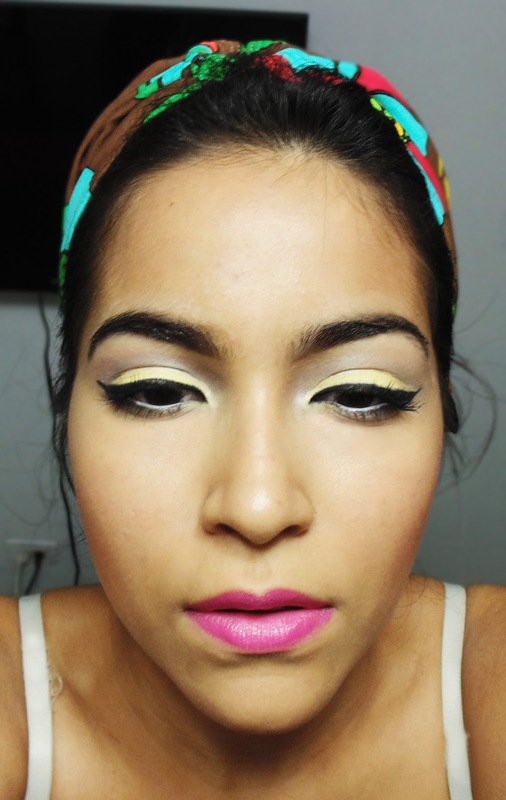 Love this makeup the yellow is awesome, I will mention it on my sunday blog post. Lovely work with the eyeliner… so precise! The yellow is beautiful too! I love this look! 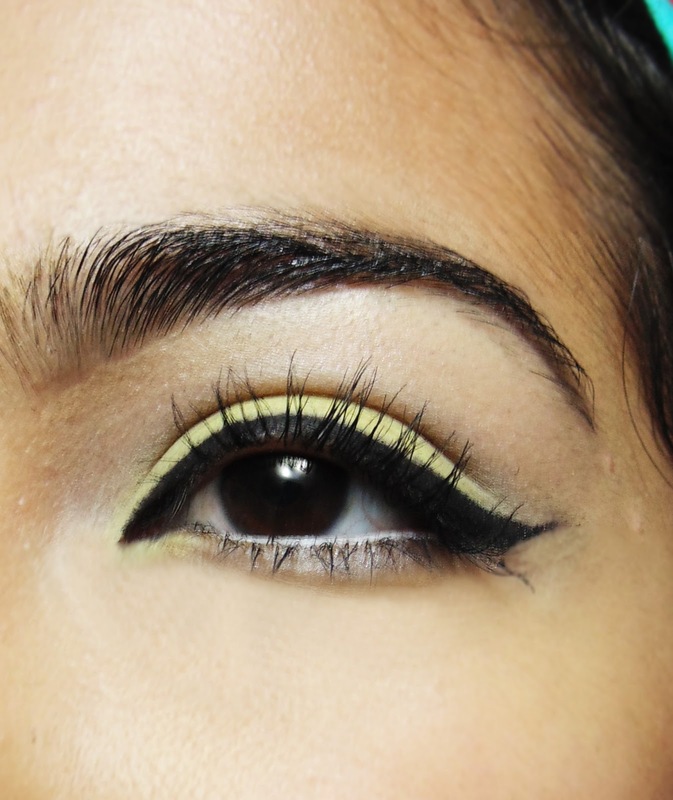 The makeup is so pretty and I love that shade of yellow. You did an AMAZING job!! I love the eyes and that is such a pretty lip color. Love your eyebrows and the way you did your makeup. Very pin-up(ish) I love it!! Okay, your make-up is flawless girl! Loving this yellow color!!!!! !